What should we use to manage SharePoint Permissions: Secure Active Directory (AD) Groups or SharePoint Groups? As with everything in SharePoint the answer is, “It depends.” Most people end up using both AD Groups and SharePoint Groups to manage permisisons. Before we discuss the pros and cons of both AD groups and SharePoint groups, there are a couple things we need to keep in mind. SharePoint can’t open AD Groups. This makes troubleshooting permission issues a challenge. If the AD Group has a distribution list, put the distribution list in the To: line of an email and expand to see the users. SharePoint can’t open AD Groups. When using a Person/Group column, under Additional Column Settings we can allow people to select from all users or only users in a selected Group. IT manages Active Directory. Sometimes there is a delay in communicating changes to IT. Active Directory usually syncs with SharePoint overnight. The Site Collection Administrator and/or Site Owner to add and remove users from SharePoint Groups. When a user changes teams, departments, roles and/or companies the Site Collection Administrator and/or Site Owner must move the user to the appropriate SharePoint Group. SharePoint does not allow us to add SharePoint Groups to a SharePoint Group. Example: We have a SharePoint Group for each department; IT, HR, ect. We want to create a SharePoint Group named All Departments. We would need to add individual users to the All Departments Group as we cannot add the IT SharePoint Group and HR SharePoint Group to the All Departments SharePoint Group. The Site Collection Administrator and/or Site Owner to add and remove users from SharePoint Groups. This allows us to create groups to fit any need. What other pros and cons have you run into? Leave a comment and they will be tested and added to the lists above. 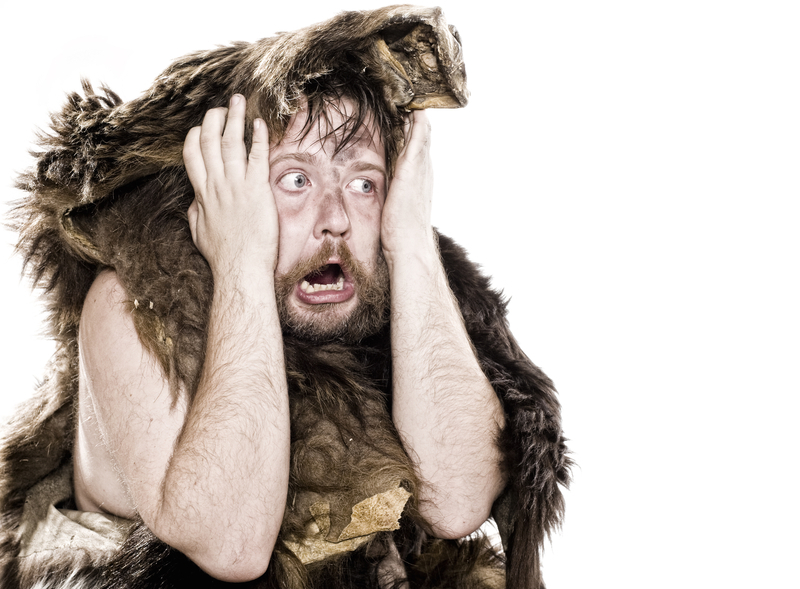 If you need an overview of SharePoint Permisisons check out SharePoint Permissions So Easy Even a Caveman Can Do It. These drawings, found in a cave in Redmond, WA, date back to early 2001. The pictographs have stumped archeologists throughout the ages, until now. Recent discoveries by a SharePoint addict reveal the true meaning of these images. “It looks like the four building blocks of SharePoint permissions.” Take a look at the cave drawing again, this time with annotation. But how do SharePoint Permissions work? Of course if you are not satisfied with the permission levels or SharePoint groups that are available, given the correct rights, you can create your own groups and permission levels. Although it is not considered a Best Practice, you could also give permissions directly to a user. Some of the drawings show another figure. This additional figure depicts secure Active Directory (AD) groups. Some archeologists were stunned that there was no pictograph for audiences, but then someone pointed out that SharePoint audiences are not part of permissions or security. SharePoint audiences are just a way to reduce noise on a page. In our next session we will discuss the pros and cons using AD Groups and Users to manage SharePoint Permissions. View and download the entire deck here. Create Site Columns on the Parent Site if possible. Create a Parent Content Type that includes Site Columns all child Content Types will have in common for ease of updating. Create your SharePoint Content Types on the Parent Site so you can use them on sub-sites. Add Site Columns to your Content Types. Add your Content Types to your List or Library. Special thanks to Rae of Words of Rae: raerei.com/blog for this lovely cartoon.